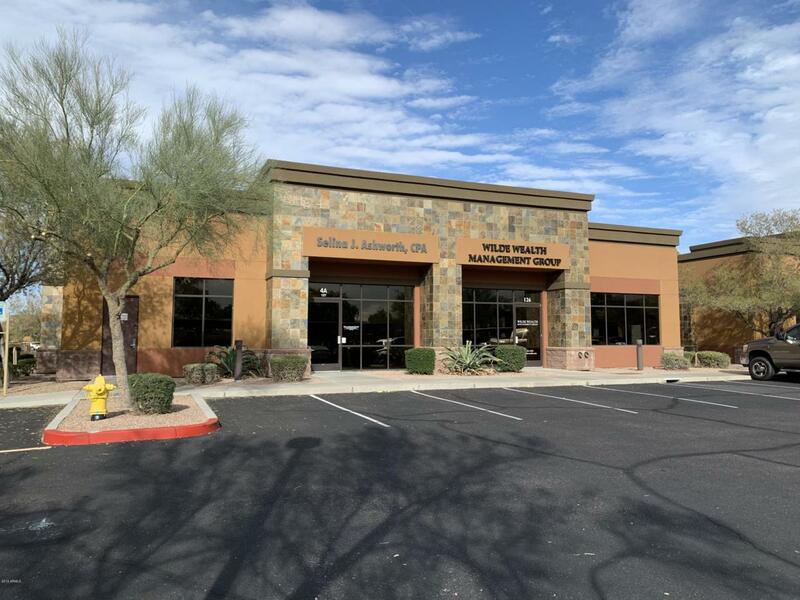 Great Office Condo located in Red Mountain! Perfect office space to move from a home base office or to expand a company to the Las Sendas marketplace. Very busy office complex with many different companies. Three huge offices, kitchenette, reception area, and private bathroom.